Don’t worry Andrea, we got this. 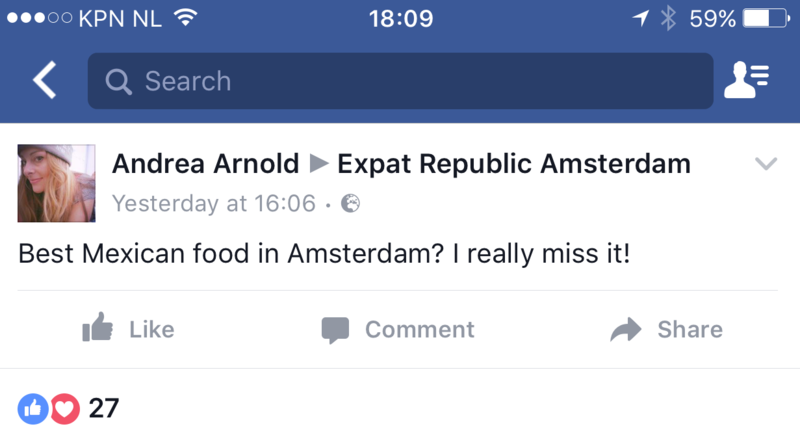 Mexican food is somewhat underrepresented in Amsterdam. But hidden among the kebab joints and steakhouses there are some great places to get your south of the border order. 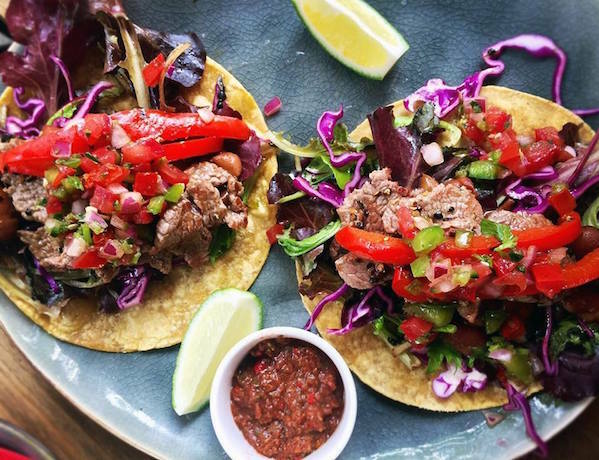 Whether you’re a discerning foodie or you’ve just wandered out of the coffeeshop with a wicked case of the munchies, here’s a few of the best Mexican spots in town. 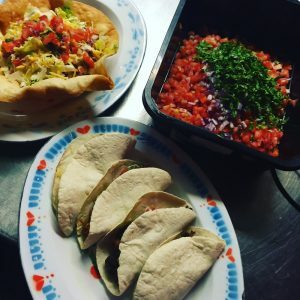 Founded by three Mexican brothers in 2001, Los Pilones quickly picked up a reputation for dishing out authentic Mexican tacos, quesadillas, enchiladas and more. 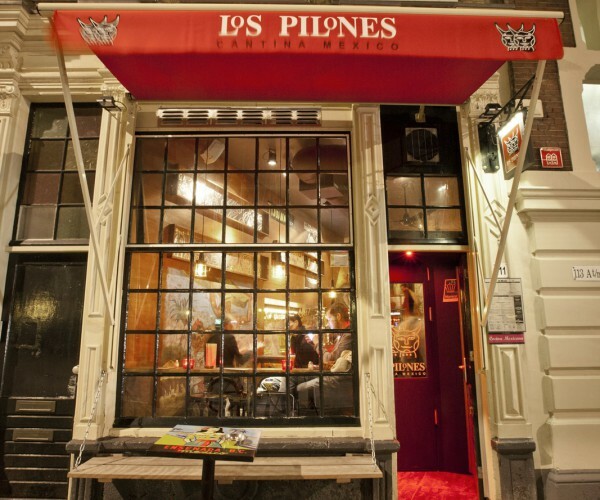 Now with three locations in Amsterdam, Los Pilones is equally well known for its cocktails and tequilas, offering 185 varieties of the Mexican fire water. Portions are generous, and the tangy and refreshing margaritas perfectly complement the spicy food. Coupled with attentive staff and a warm and casual atmosphere, Los PIlones is a real treat. 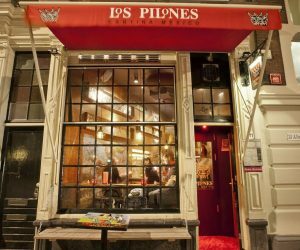 Los PIlones, Kerkstraat 63; Kerkstraat 59; Geldersekade 111. An uncomplicated menu, no reservations, and beat up, rustic furnishings: Taco Cartel nails the Mexican street food vibe. If it wasn’t for the Dutch drizzle falling steadily outside, you could very well believe that you had too much tequila and woke up in southern Mexico. Of course, it helps that the food is pretty great too. 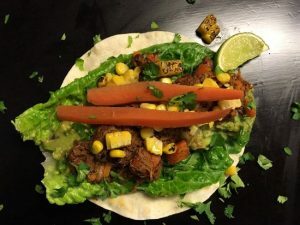 The crunchy chicken burrito is the star of the show here, and the way the meat combines with the lime mayo and mango salsa is the stuff foodgasms are made of. 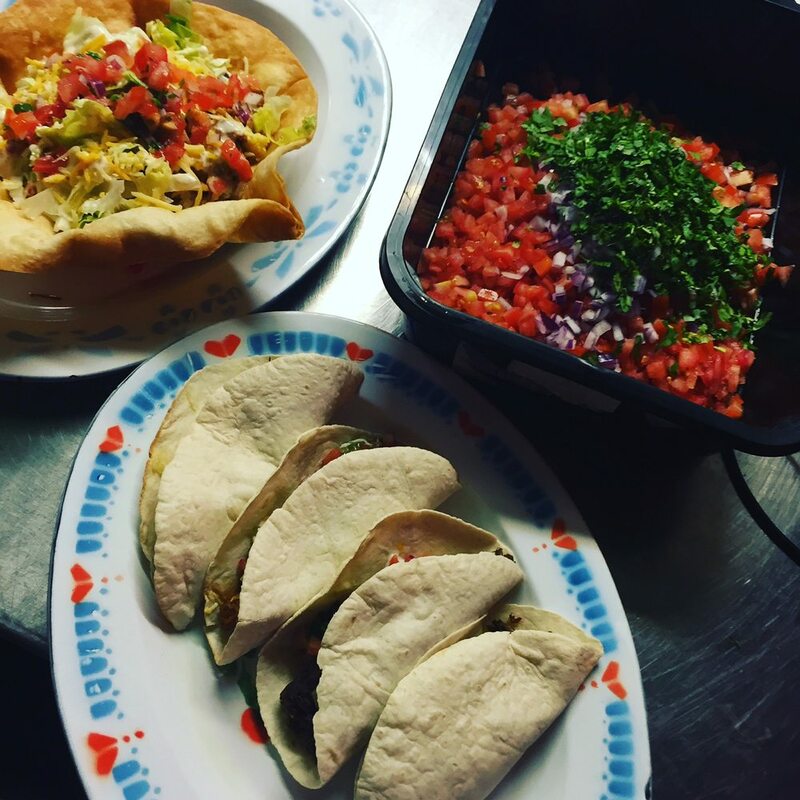 Chiapas Taco Cartel, Van Woustraat 29. Come for the enchiladas and faijitas, stay for the margaritas. With a central location and a terrace overlooking one of the city’s oldest canals, La Margarita has been serving up a taste of Mexico for over thirty years. While the chefs here don’t take the same creative license with fillings that Los Pilones or Taco Cartel do, it’s hearty and filling stuff. We recommend calling ahead to reserve a terrace spot during the summer months. Taqueria Tacobar is another taco and margarita joint. You’re probably noticing a pattern by now. Nevertheless, the fare here is simple, tasty, and affordable. There’s just five kinds of taco on the menu, but sides like honey-lime tequila chicken legs and sweet potato quesadillas round things out nicely. Only open since last year, Tacobar’s minimalist menu has already garnered critical praise, and is well worth checking out. 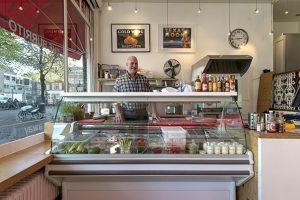 Taqueria Tacobar, Tweede Helmersstraaat 26. As the name suggests, Salsa Shop take their taco dressing seriously. Offering the usual tomato salsa as well as the more unique pineapple chipotle and the potentially dangerous fiery yellow habanero, there’s something for the bravest or meekest eaters. The barbacoa beef tacos are small but mouth-wateringly delicious, and combined with the creamy guacamole, are impossible not to wolf down. Salsa Shop, Amsterdam Centraal Station; Amstelstraat 32; Ferdinand Bolstraat 1; Kinkerstraat 154. 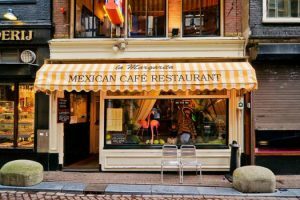 Worn by banditos and hipsters alike, the moustache is a fitting symbol for a Mexican eatery in the trendy Pijp neighbourhood. This small and charming restaurant offers typical Mexican street food – tacos, burritos, and more tacos. The slow cooked beef and pork are tender and juicy, but you can also fill your tacos with fried cactus if you’re feeling more adventurous. Be sure to stop by on “Taco Tuesdays” for cut-price tacos and drinks. Like some of the other places on this list, simplicity is key at The Burrito Maker. This small restaurant is more suited to grab-and-go rather than sit-down dining, but the food is fresh and tasty, with a focus on fresh ingredients. There’s also some good vegan options on the menu. Owned by an American who missed the Tex-Mex cuisine of home, this unpretentious eatery has become a Mexican mainstay in Amsterdam, and has some famous fans. Beyonce and her crew ordered 150 burritos when her tour passed through Amsterdam last summer. 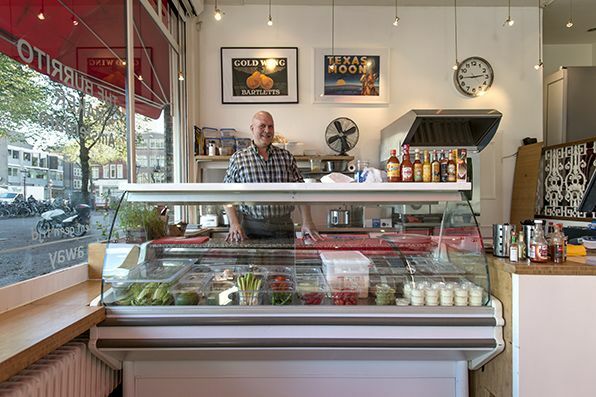 The Burrito Maker, Harlemmerplein 29; Zeeburgerstraat 4. 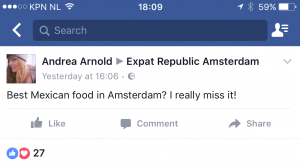 Did we miss your favourite taco place? Is there a spot that we need to know about? Get in touch and let us know!